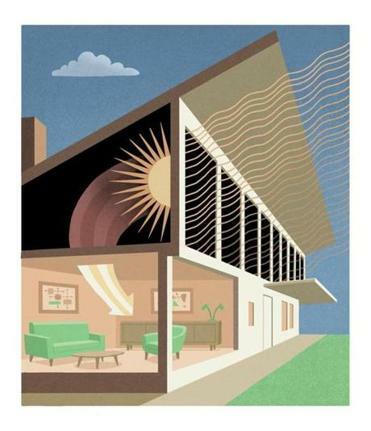 The Sun House, built in the 1940s in Dover, was the first livable building ever heated entirely by the sun. SEVENTY YEARS AGO, my parents and I began a new life in Dover. Today a posh suburb, Dover in 1949 was a rural town in bucolic farm country. Imposing estates with long green lawns joined older Colonials and some new ranch houses on the winding, narrow lanes that ran through dense oak forests and horse-filled meadows. And then there was our house. Stark, angular, and shaped like an 80-foot-long wedge of cheese, it had a slanting corrugated-aluminum roof and a claim no other habitable structure in the world could make: It was heated by nothing but the sun. By mid-century architectural standards, it might as well have been dropped in the middle of a field by aliens. The architecture wasn’t the only thing that made it conspicuous: Between the living space and the roof, a row of 18 dark-glass vertical panels 10 feet tall marched across the south-facing front of the second floor. Aptly named the Sun House, it was the brainchild of a Hungarian MIT metallurgy researcher named Maria Telkes, the face of a three-woman team with the creativity and daring to challenge the male-dominated scientific establishment. None of that was on my parents’ minds when they settled in with me, a malnourished, undersized 3-year-old. They had spent two perilous years adrift after the Soviet Army stormed into their native Hungary toward the end of World War II, fleeing west to escape the Communist takeover. As displaced persons, they found it bleak and inhospitable in Austria, where I was born. Because the borders were closed, my father hired a smuggler to take him alone over the Alps to Italy, where he eventually secured the visas that allowed us to immigrate to the United States. While he was there, my mother, desperate after months of waiting, also put her trust in a smuggler. On a frigid March night, he led her into Italy on skis, carrying me as a 16-month-old in a backpack. Andrew Nemethy in 1950 with his parents, Esther and Anthony. The sundial, sculpted by Amelia Peabody, survived the Sun House and is now on the grounds of the Dover Town Library. Now, suddenly, we had a home. Photos show me happily chugging toy cars and trains on the sunny sills of the giant picture windows, pedaling my tricycle down the long corridor that connected the kitchen, bathroom, and two bedrooms, and playing in the snow outside. For my parents, landing in Dover was about the most unusual start imaginable to a new life in a new country. Thanks to Telkes, a second cousin of my father’s, they had hit the jackpot — though it was a prize with some odd strings attached. We were invited to live (rent-free, initially) in an experimental house where we were both human guinea pigs and fishbowl attractions, tasked as tour guides and chart keepers of the solar heat. Or lack thereof, as it turned out. My father, an aristocrat who had been a provincial governor in Hungary, was also an economist and became a professor and dean at Newton College of the Sacred Heart. He ably showed visitors around the house, explaining how the black metal sheets behind the enormous glass panels heated the air, which was then blown into three heat-storage bins built into the house. They were not solar panels as we understand them today, but they got the job done, at least at first. We were busy hosts: Some 3,000 visitors — society matrons, club members, reporters, and curious civilians — traipsed through our home until that twice-a-week imposition ended in August 1949. When the system started failing, a conventional oil furnace was installed in the attic in 1954, marking the official end of the saga. 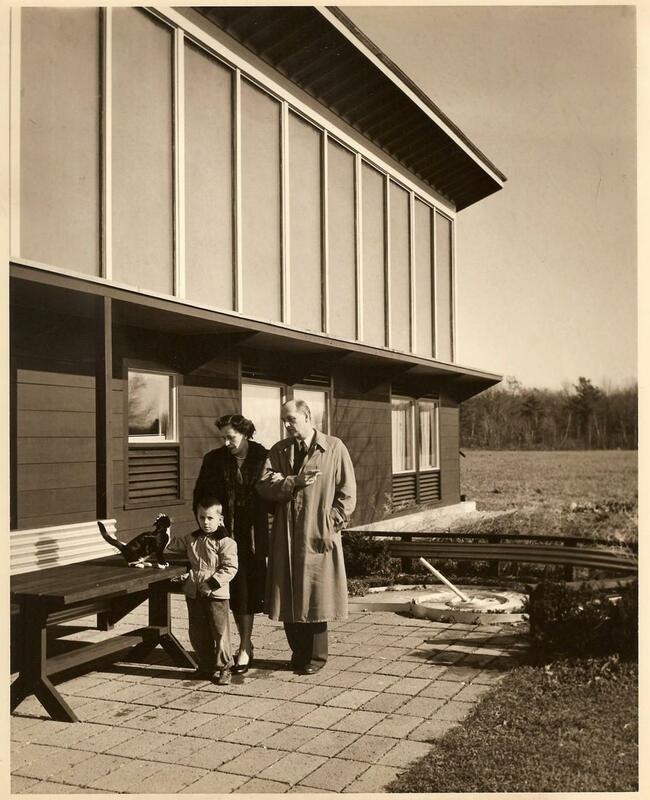 But for my parents and me, the story of the Dover Sun House and its origins, failings, and accomplishments had become family lore — and the three women who built it had become part of our lives. Solar-energy pioneer Maria Telkes at MIT. I KNEW THEM AS Maria, Eleanor, and Miss Peabody. Maria Telkes’s partners in the Sun House were Boston architect Eleanor Raymond and sculptor and philanthropist Amelia Peabody, a Mayflower descendant. Their collaboration involved the breaking of age-old barriers and the vision of a prickly genius, enabled by Peabody’s Brahmin wealth. The most striking feature of the Sun House today is that three women created it in an era when a woman’s place was widely assumed to be in the home, not building one. How they achieved their shared dream illuminates the constraints women faced in the mid-20th century, the progress in the years since, and how little some of those issues have changed. It all begins with Telkes. She was born in Budapest in 1900, the daughter of a banker. After earning a doctorate in chemistry from the University of Budapest — a rare achievement in Hungary, where as late as 1939, only 14 percent of university students were women — Telkes came to the United States in 1925 to visit an uncle who was serving as a diplomat. She stayed and became a naturalized citizen, launching a career that saw her posthumously inducted into the National Inventors Hall of Fame in 2012, the same year as Apple cofounder Steve Jobs. Also problematic in Telkes’s stormy tenure was her association with Eleanor Raymond, who was gay and made little effort to hide a long-term relationship. MIT’s top solar administrator wrote that their affiliation made him “somewhat concerned” for the school’s sake — coded language with a clear message. A singularly focused solar proponent, Telkes almost certainly was difficult to work with. In the 1970s, after my mother was quoted describing the house’s chilly failings in a book on solar heat, Telkes abruptly cut off contact with her. But she was brilliant. She held 20 patents and wrote scores of academic papers. Not only was her Utopian vision of solar energy groundbreaking, but she envisioned venture capital long before the term existed, often speaking of finding an “angel” whose millions would support prefabricated solar heating systems on an industrial scale. At some point, she decided Amelia Peabody might be her angel. 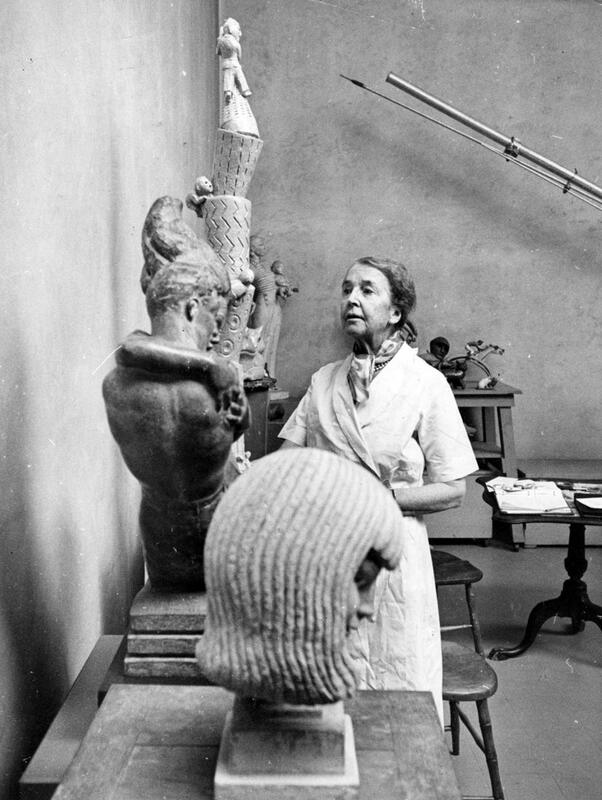 Sculptor and philanthropist Amelia Peabody in 1962. PEABODY, WHOM WE ALWAYS CALLED “Miss Peabody,” was born on Marblehead Neck in 1890. In her own way, she was nearly as much of a rebel as Telkes. A world traveler, she never married, and she used her inherited wealth — her father, Frank, was a partner in the investment house Kidder, Peabody & Co. — to fund charitable causes throughout her life. She continued to volunteer well into her 80s. Her legacies include the Amelia Peabody Charitable Fund, which endures to this day. Reserved and with an understated, self-deprecating sense of humor, she was not content with the life of a Boston socialite. In her late teens, she took up sculpture, which became her lifelong passion. She rode with the Norfolk Hunt Club and became so fond of Dover that she bought property there as a getaway from the family home at 120 Commonwealth Avenue. By the time we met her, she had amassed 800 acres of mostly woodlands, with a historic mill and four ponds. Some Saturday mornings, she showed up with the hunt club, which marshaled in the field next to our house before galloping through her woods. In 1933, Peabody chose Raymond, whom she knew from Boston social circles, to design a Bauhaus-style two-story sculpture studio on her Dover estate. The commission proved momentous for Raymond. She went on to design seven eclectic structures for Peabody, all in Dover. Several were architecturally revolutionary, including the first house ever built of plywood, in 1940, and a house constructed of Masonite. Raymond’s use of novel materials won her some attention in architectural circles — and caught the notice of Telkes, who recognized a kindred spirit. Perhaps even more than Telkes, Raymond eluded the constraints of the times, carving out a career in another field where women were scarce. In 1910, there were only 50 women architects in the entire country (by 1950, the number was 933), and many architecture schools denied admission to women. Those barriers appear not to have fazed Raymond. 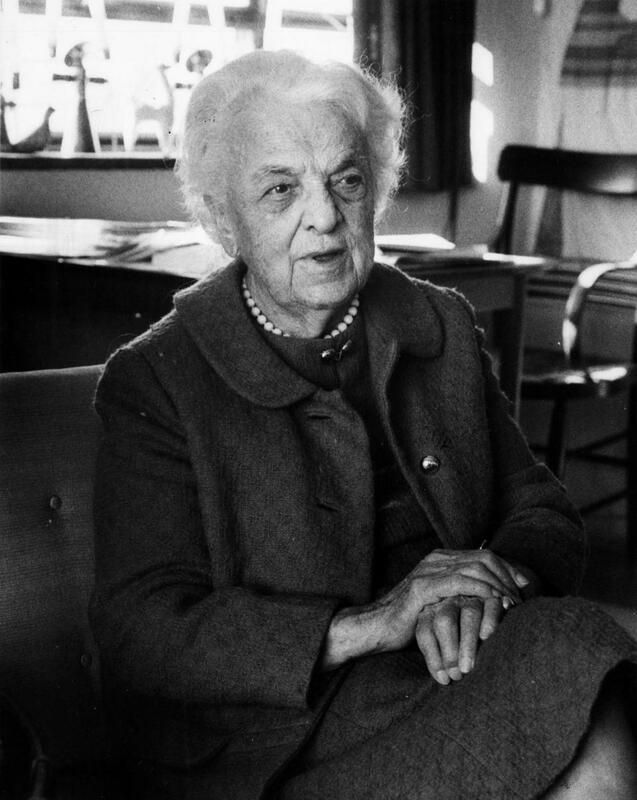 Born in Cambridge in 1887, she graduated from Wellesley College in 1909 and enrolled in the Cambridge School of Architecture and Landscape Architecture for Women in 1917, launching a career that spanned five decades. After nine years working with a male partner — the conventional way for female architects to get a foot in the door — Raymond hung out a shingle on her own in Boston in 1928. Two decades later, Raymond, with her established practice and a broad-minded patron in Peabody, was in a perfect position to be of use to Telkes, who sent Peabody a letter proposing the Sun House. The idea of sponsoring a landmark project by a female scientist appealed to Peabody, as did hiring a familiar female architect: a historic twofer! 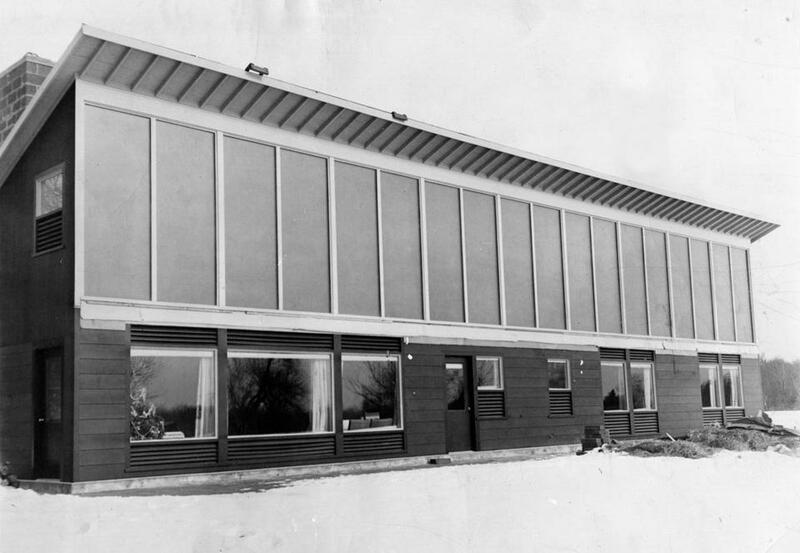 And that is how in 1948, for around $20,000 (the equivalent of about $210,000 today) Raymond’s plans and Telkes’s novel heating system design were slowly transformed into concrete, wood, glass, metal sheeting, and corrugated aluminum. “A New House in Dover, Mass., Has Been Comfortably Warm All Winter Without a Furnace,” read a May 1949 Life magazine headline. AS A HOME, THE SUN HOUSE had its quirks, not least the daily chore of raising or lowering the shades that covered the seven picture windows. The shades kept warmth from radiating out on cloudy days and (along with a system of louvers) prevented the sun from overheating us. The tiled concrete slab floor, designed as a heat sink, was cold in winter — rugs solved that problem — and my mother often complained that it took forever to dry after mopping. I recall my mother telling me that we bundled up indoors when the solar heating system began to fail, but my childhood memories are mostly of an odd-looking house in a rural setting 3 miles from my closest friend, not of a scientific landmark. I left for college in 1963 but returned frequently, including a lengthy spell after serving in the Navy during the Vietnam War. My parents ended up calling the Sun House home all their second lives, until my mother died in 1981 at 67 and my father in 1983 at 79. Around 2010, its ungainly design eclipsed by the passage of time, the Sun House was demolished and replaced by a manse more in tune with one of Boston’s toniest suburbs. 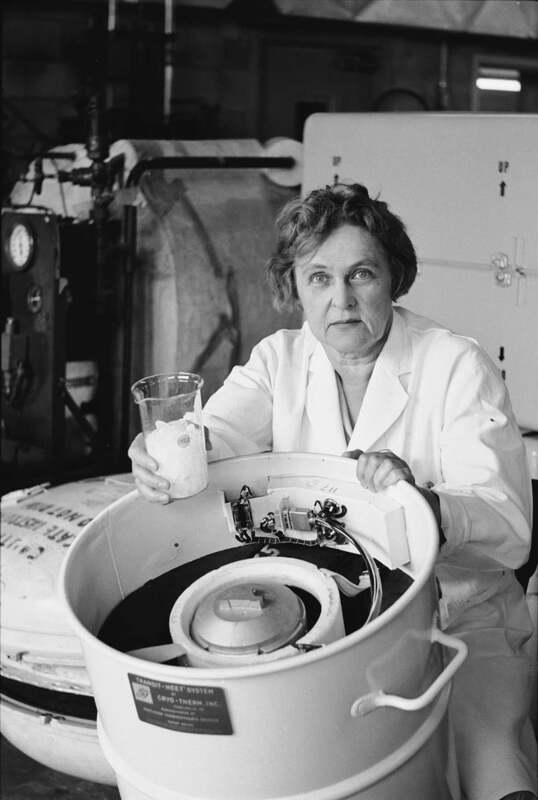 After leaving MIT in 1953, Telkes worked at New York University and later at the University of Delaware’s Institute of Energy Conversion, which maintains an archive of her work. She died in Hungary in 1995, 10 days short of her 95th birthday. Eleanor Raymond became a family friend, inviting us to visit her in the summer at her cottage on a secluded cove in Gloucester. She once said of the Sun House, “When the door opened to me on Christmas Eve and I was greeted with a flood of warm air that I knew had to have come only from the sun, that was really thrilling.” She gained one of the highest honors in her field, election as a fellow of the American Institute of Architects, in 1961. She died at 102 in 1989 and was buried in Mount Auburn Cemetery. A stylized sunburst decorates her gravestone. That certainly rings true, and it was a chord whose notes resonated through my parents’ lives. My father lived in the Sun House for 35 years, and when he died, he was paying the same $100 monthly rent he had paid for decades. Andrew Nemethy is a writer and educator who claims a sunny personality from being raised in the Sun House. He makes his home in a decidedly different residence, an 1830s farmhouse in Adamant, Vermont. Send comments to magazine@globe.com. Get the best of the magazine’s award-winning stories and features right in your e-mail inbox every Sunday. Sign up here.